DOKTOR KRANK: LA MIXETTE VOL. 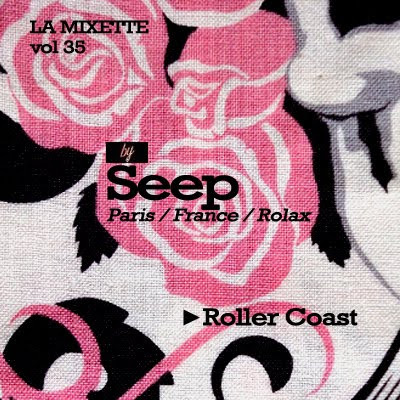 35 - SEEP - "Roller Coast"
LA MIXETTE VOL. 35 - SEEP - "Roller Coast"
La Mixette podcast series is the best reference point for what's hot on the future beatz scene. 35th volume brings the mix by SEEP - a DJ and producer from LA, currently living in Paris. Balancing between twisted hip-hop beat, dub and electro he managed to prepare a great fusion of various music styles bearing a serious mark of West Cost / Low End Theory off-beat electronica. Great listening experience!